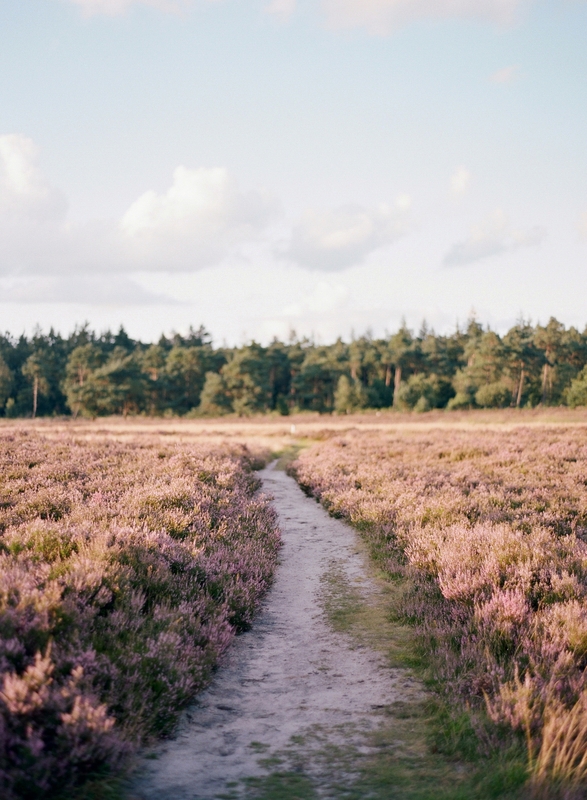 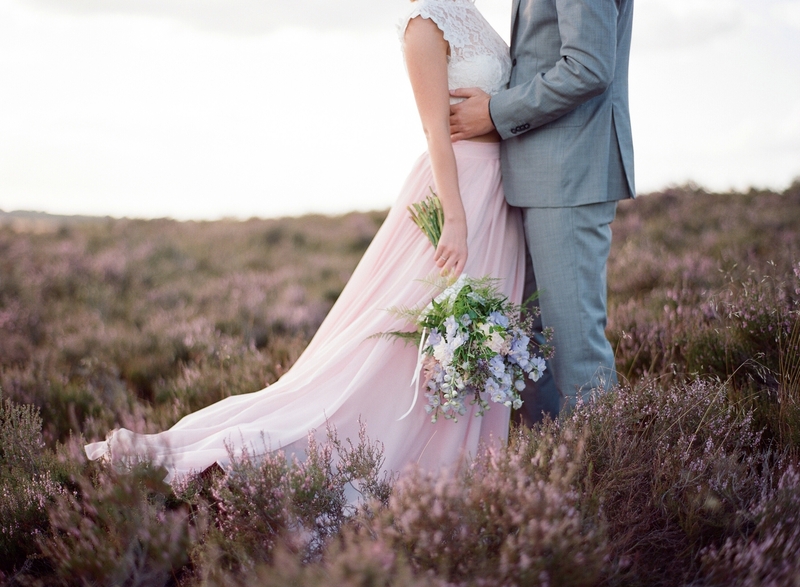 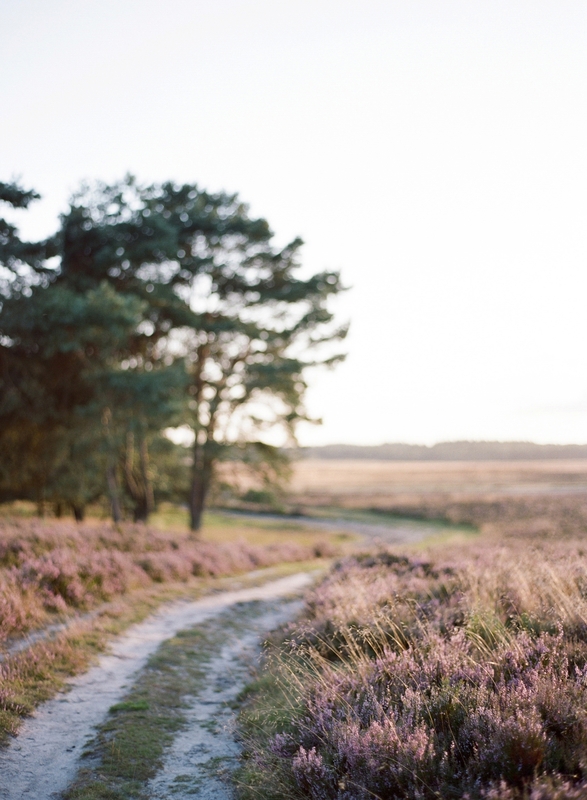 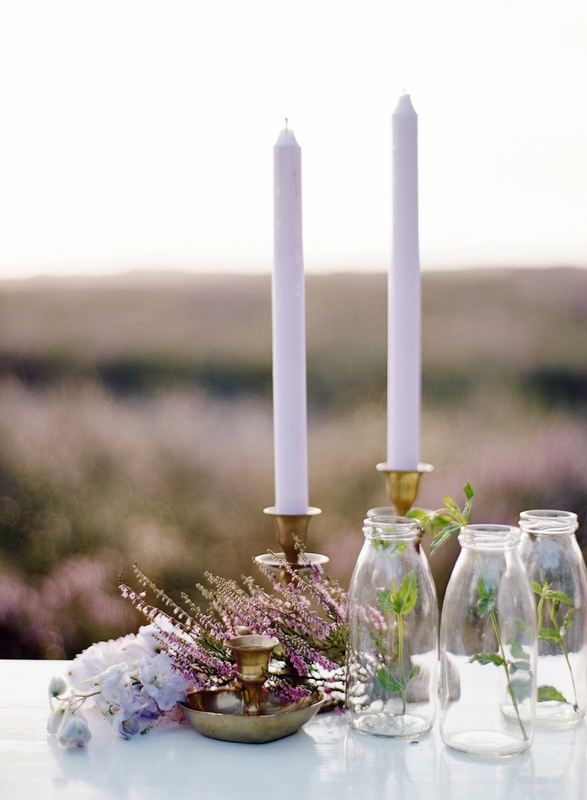 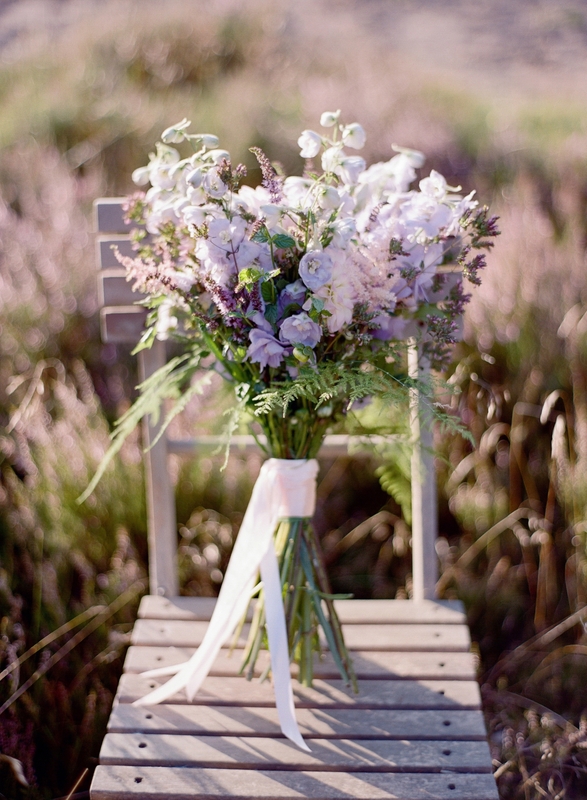 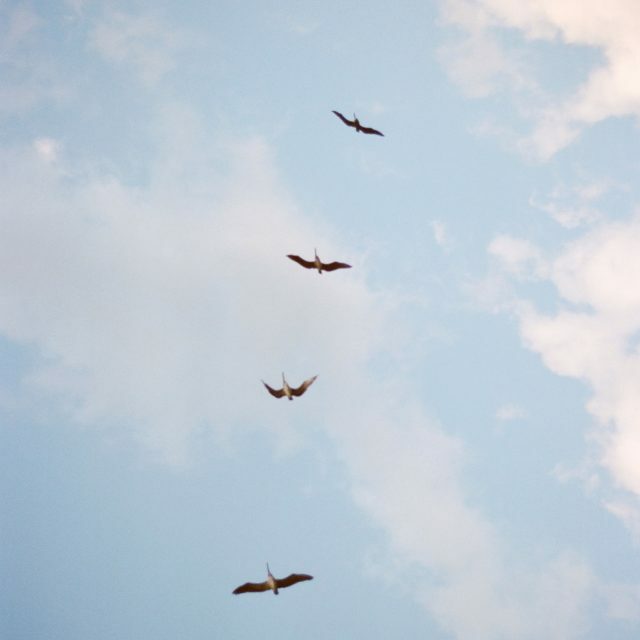 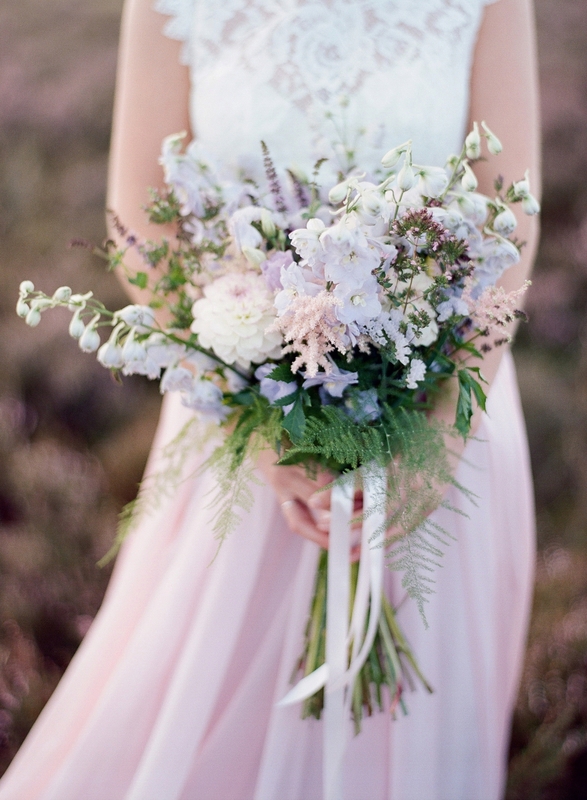 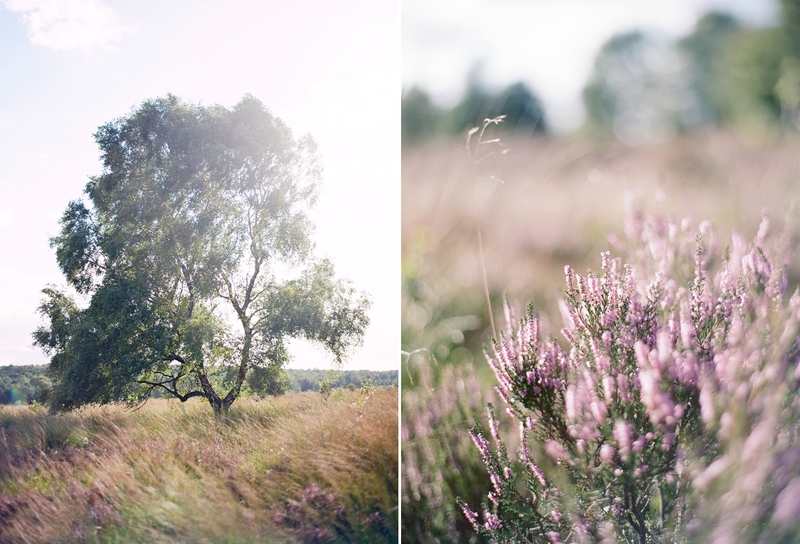 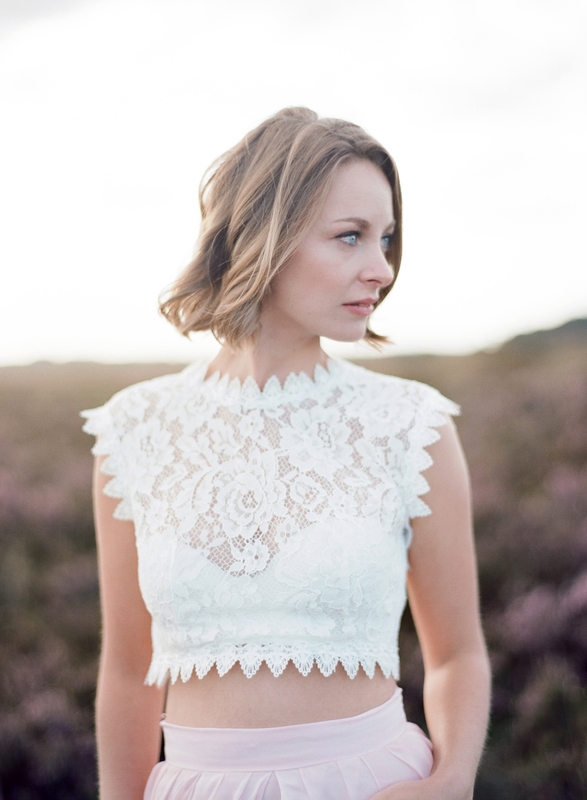 This dreamy heather fields anniversary session was such a highlight of our time in The Netherlands this summer! 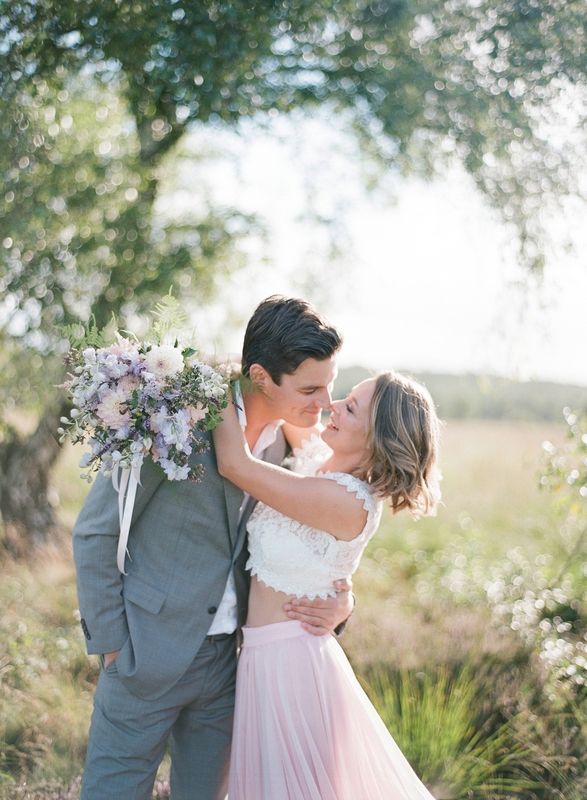 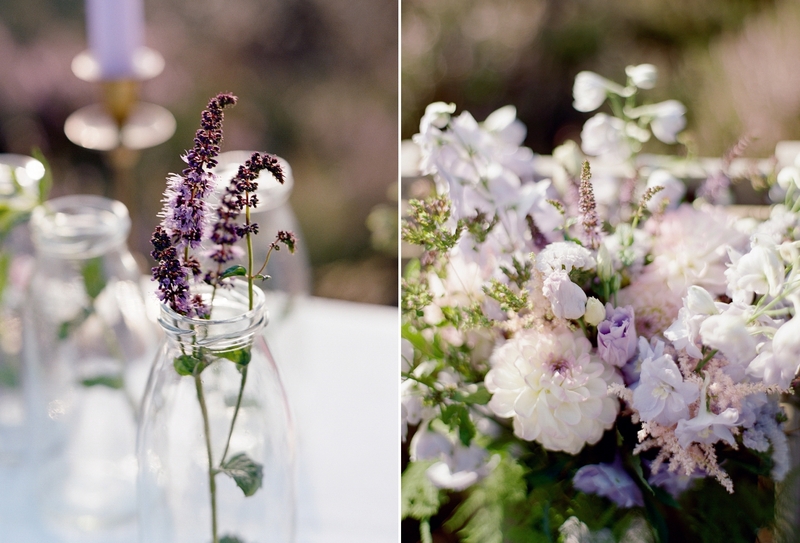 Inspired by the amazing purple fields that bloom during Holland’s late summer, it was such a treat to capture this beautiful couple on a breezy summer afternoon. 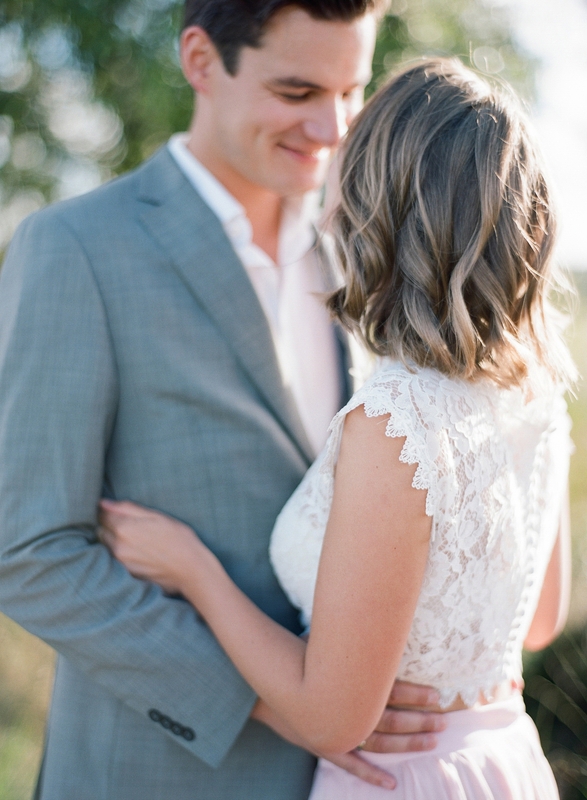 Lotte and Pascal are such a sweet couple, and their love and happiness was contagious! 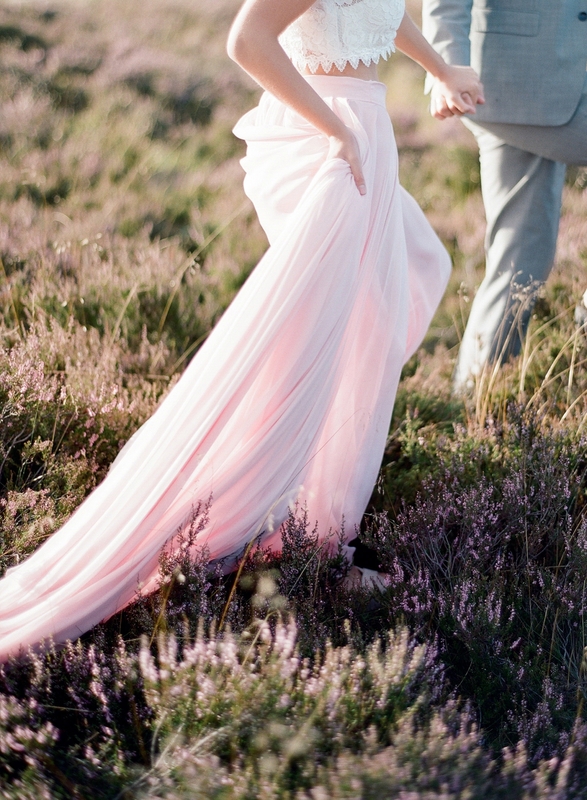 Ingeborg from Ohlala Weddings contacted us to style this lovely shoot, which featured a custom two-piece design by Unielle Couture. 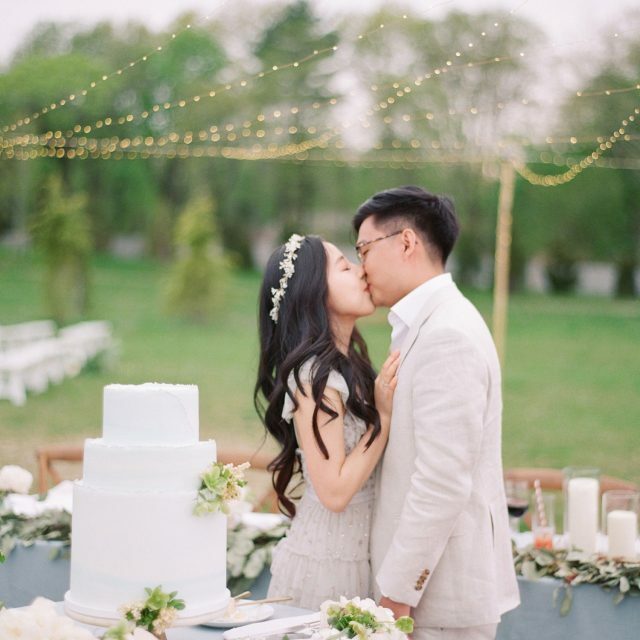 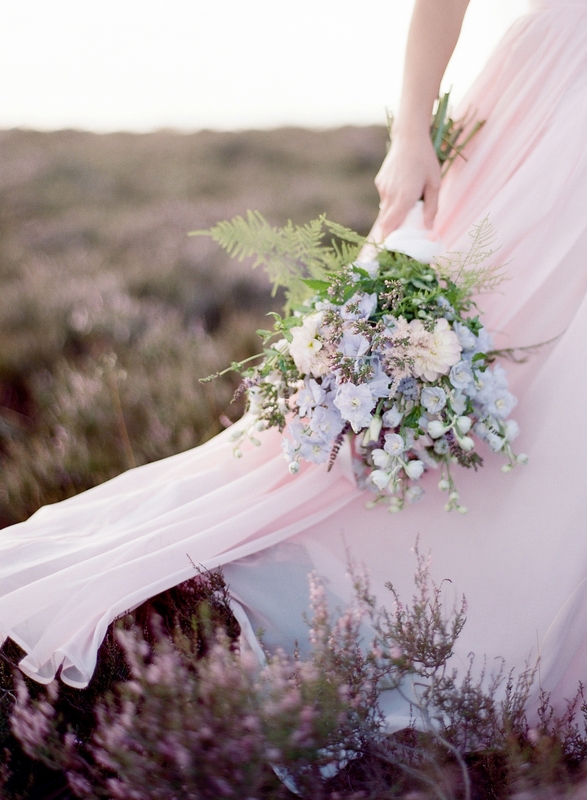 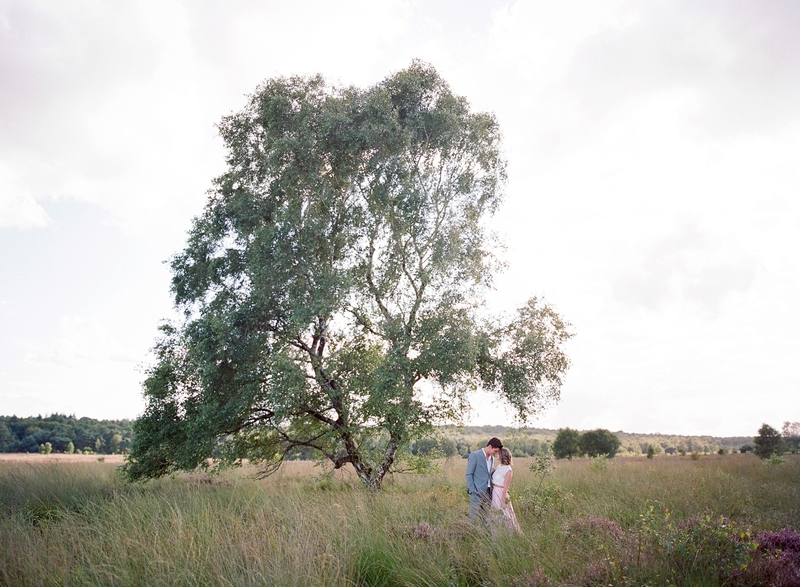 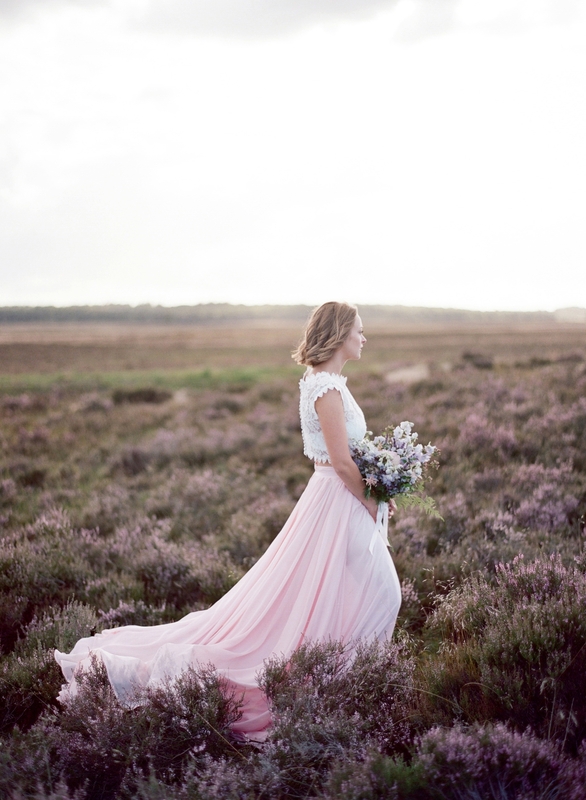 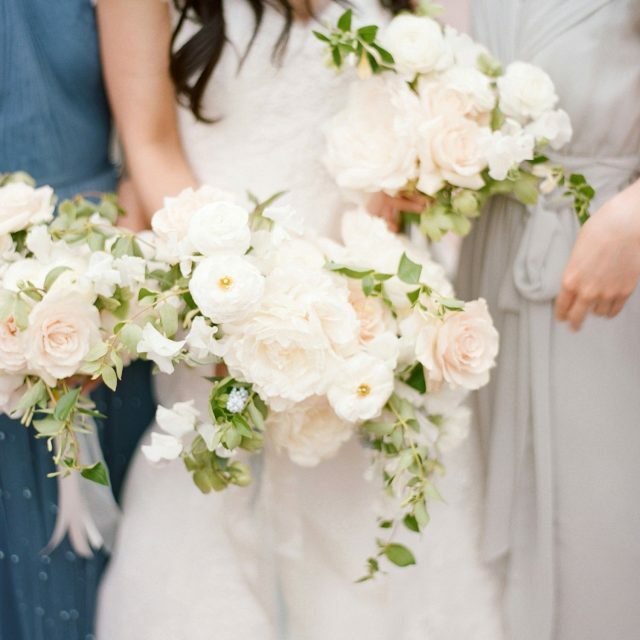 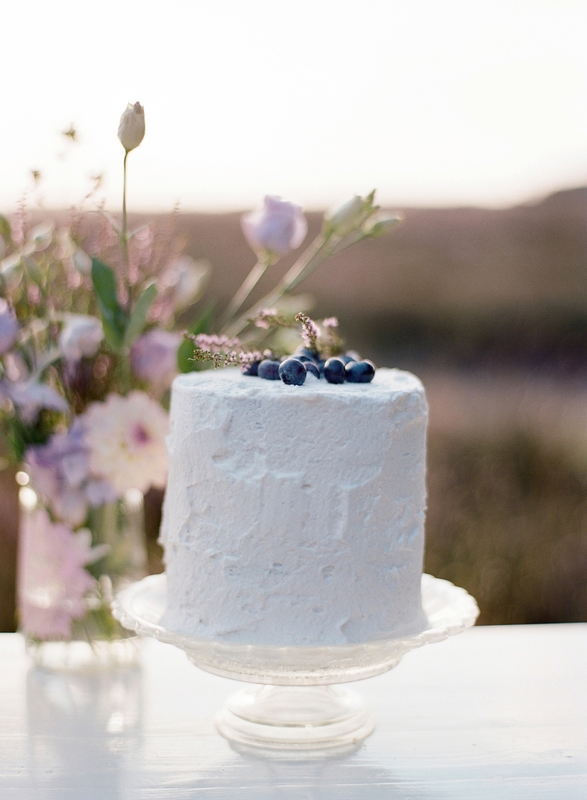 The flowy blush pink skirt and accompanying white lace top were a perfect fit for our shoot in the Veluwe fields, and its soft color was a perfect fit for the dreamy backdrop.